A BMW driver who used a laser jammer device on the A658 near Harrogate has been jailed. Michael Twizell, 58, was sentenced by a judge to three months in prison and fined £1,500 for perverting the course of justice. 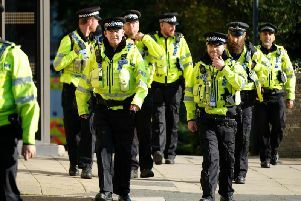 Twizell was driving a BMW 3-series on the A658 near Harrogate when he passed a police safety camera van last February. Officers established that Twizell was using a device on the front of his vehicle that illegally interfered with police camera equipment.